Durbin made her first film appearance with Judy Garland in Every Sunday (1936), and subsequently signed a contract with Universal Studios. Her success as the ideal teenaged daughter in films such as Three Smart Girls (1936) was credited with saving the studio from bankruptcy. In 1938, at the age of 17, Durbin was awarded the Academy Juvenile Award. As she matured, Durbin grew dissatisfied with the girl-next-door roles assigned to her, and attempted to portray a more womanly and sophisticated style. The film noir Christmas Holiday (1944) and the whodunit Lady on a Train (1945) were, however, not as well received as her musical comedies and romances had been. Durbin retired from acting and singing in 1949, and withdrew from public life, granting no interviews for the remainder of her life, except for one in 1983. She married film producer-director Charles Henri David in 1950, and the couple moved to a farmhouse near Paris. Edna Mae Durbin was born on December 4, 1921, at Grace Hospital in Winnipeg, Manitoba, the younger daughter of James Allen Durbin (1885–1976) and his wife Ada (née Read) Durbin (1885–1972), who were originally from Chester, England. When she was an infant, her family moved from Winnipeg to Southern California, and her parents became United States citizens in 1923, which would have conferred United States citizenship via Jus sanguinis to her and her elder sister, Edith, later Mrs. Heckman (born 1909, England – died 2010), although it is unclear if she or her sister ever elected to claim U.S. citizenship. At the age of one, Edna Mae was singing children's songs. By the time she was 10, her parents recognized that she had definite talent and enrolled her in voice lessons at the Ralph Thomas Academy. Durbin soon became Thomas's prize pupil, and he showcased her talent at various local clubs and churches. In early 1935, Metro-Goldwyn-Mayer was planning a biographical film on the life of opera star Ernestine Schumann-Heink and was having difficulty finding an actress to play the young opera singer. MGM casting director Rufus LeMaire heard about a talented young soloist performing with the Ralph Thomas Academy and called her in for an audition. Durbin sang "Il Bacio" for the studio's vocal coach, who was stunned by her "mature soprano" voice. She sang the number again for Louis B. Mayer, who signed her to a six-month contract. Durbin made her first film appearance in the short Every Sunday (1936) with another teenager, Judy Garland. The film was intended as a demonstration of their talent as performers, as studio executives had questioned the wisdom of casting two female singers together. Eventually, Louis B. Mayer decided to sign both, but by then Durbin's contract option had lapsed. Instead, Durbin was placed under contract by Universal Pictures, where she was given the professional name Deanna. She was 14 years old when she made her first feature-length film, Three Smart Girls (1936). When producer Joe Pasternak cast the film, he wanted to borrow Garland from MGM, but Garland was not available at the time. When Pasternak learned that Durbin was no longer with MGM, he cast her in the film instead. Three Smart Girls was a success and established Durbin as a star. With Pasternak producing for Universal, Durbin starred in a succession of successful musical films, including One Hundred Men and a Girl (1937), Mad About Music (1938), That Certain Age (1938), Three Smart Girls Grow Up (1939), and First Love (1939)—most of which were directed by Henry Koster. During the 1930s, Durbin continued to pursue singing projects. In 1936, she auditioned to provide the vocals for Snow White in Disney's animated film Snow White and the Seven Dwarfs, but was rejected by Walt Disney, who said the 15-year-old Durbin's voice was "too old" for the part. In late 1936, Cesar Sturani, the general music secretary of the Metropolitan Opera, offered Durbin an audition. She turned down his request because she felt she needed more singing lessons. Andrés de Segurola, who was the vocal coach working with Universal Studios—himself a former Metropolitan Opera singer—believed that Durbin was a potential opera star. De Segurola was commissioned to advise the Metropolitan Opera on her progress. Also in 1936, Durbin began a radio collaboration with Eddie Cantor which lasted until 1938, when her heavy workload for Universal forced her to quit her weekly appearances. In the early 1940s, Durbin continued her success with It's a Date (1940), Spring Parade (1940), Nice Girl? (1941), and It Started with Eve (1941), her last film with Pasternak and director Henry Koster. After Pasternak moved from Universal to MGM, Durbin was suspended between October 16, 1941 and early February 1942 for refusing to appear in They Lived Alone, which was scheduled to be directed by Koster. The project was canceled when Durbin and Universal settled their differences. In the agreement, Universal conceded to Durbin the approval of her directors, stories, and songs. Following the two sequels to her first film Three Smart Girls, Durbin issued a press release announcing that she was no longer inclined to participate in these team efforts and was now performing as a solo artist. The Three Smart Girls Join Up title was changed to Hers to Hold (1943). Joseph Cotten, who played alongside Durbin in the film, praised her integrity and character in his autobiography. Durbin took on a more sophisticated role in the World War II story of refugee children from China, The Amazing Mrs. Holliday (1943). Additional adult roles followed, including the film noir Christmas Holiday (1944), directed by Robert Siodmak, and the whodunit Lady on a Train (1945). While these adult dramatic roles may have been more satisfying for Durbin, her fans preferred her in light musical confections such as Can't Help Singing (1944), her only Technicolor film, which featured some of the last melodies written by Jerome Kern plus lyrics by E. Y. Harburg. A musical comedy in a Western setting, this production was filmed mostly on location in southern Utah and co-starred Robert Paige. In 1946, Universal merged with two other companies to create Universal-International. The new regime discontinued much of Universal's familiar product and scheduled only a few musicals. Durbin stayed on for another four pictures: I'll Be Yours (1947), Something in the Wind (1947), Up in Central Park (1948), and For the Love of Mary (1948). In 1946, Durbin was the second-highest paid woman in the United States, just behind Bette Davis, and in 1947, she was the top-salaried woman in the United States. Her fan club ranked as the world's largest during her active years. By 1948, however, her box-office clout began to diminish. In private life, Durbin continued to use her given name, Edna; salary figures printed annually by the Hollywood trade publications listed the actress as "Edna Mae Durbin, player". On August 22, 1948, two months after completing her final film, Universal-International announced a lawsuit which sought to collect from Durbin $87,083 in wages the studio had paid her in advance. Durbin settled the complaint by agreeing to star in three more pictures, including one in Paris. The studio allowed Deanna's contract to expire on August 31, 1949, so the three films were never made. Durbin married an assistant director, Vaughn Paul, in 1941; the couple divorced in 1943. 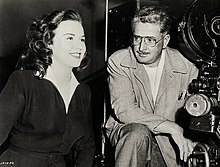 Her second marriage, to film writer-producer-actor Felix Jackson in 1945, produced a daughter, Jessica Louise Jackson, but a divorce followed in 1949. Over the years, Durbin resisted numerous offers to perform again. In 1951, she was invited to play in London's West End production of Kiss Me Kate, and in the Metro-Goldwyn-Mayer film version of the same in 1953, and Sigmund Romberg's operetta The Student Prince in 1954. In 1983, film historian David Shipman was granted a rare interview by Durbin. In the interview, she steadfastly asserted her right to privacy and maintained it until the end of her life, declining to be profiled on websites. Durbin's husband of almost half a century, Charles David, died in Paris on March 1, 1999. On April 30, 2013, a newsletter published by the Deanna Durbin Society reported that Durbin had died "in the past few days", quoting her son, Peter H. David, who thanked her admirers for respecting her privacy. No other details were given. According to the Social Security Death Index (under the name Edna M. David), she died on April 17, 2013 in Neauphle-le-Château, France. Deanna Durbin has a star on the Hollywood Walk of Fame at 1722 Vine Street. She left her hand and footprints in front of the Grauman's Chinese Theatre on February 7, 1938. Frank Tashlin's Warner Bros. cartoon The Woods Are Full of Cuckoos (1937) contains a turtle caricature of Deanna Durbin called "Deanna Terrapin". 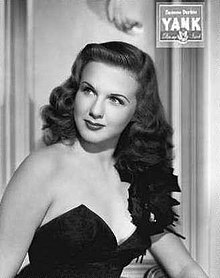 Deanna Durbin's singing is featured in Alistair Maclean's 1955 novel HMS Ulysses, being broadcast over the wartime ship's internal communication system. Durbin's name found its way into the introduction to a song written by satirical writer Tom Lehrer in 1965. Prior to singing "Whatever Became of Hubert? ", Lehrer said that Vice President Hubert Humphrey had been relegated to "those where-are-they-now columns: Whatever became of Deanna Durbin, and Hubert Humphrey, and so on." She is referenced in Richard Brautigan's novel Trout Fishing in America (1967), when the narrator claims to have seen one of her movies seven times, but cannot recall which one. She is also referenced in the WWII novelty song "Peggy the Pin-up Girl". Interestingly, the lyrics pair her name with her first co-star Judy Garland: "Even a voice that's so disturbin' / Like Judy Garland or Miss Durbin / Can't compare to my pin-up queen". Durbin figures prominently in the 1963 Ray Bradbury short story "The Anthem Sprinters" (collected in The Machineries of Joy). In Philippe Mora's film The Return of Captain Invincible (1983), Christopher Lee sings a song called "Name Your Poison," written by Richard O'Brien and Richard Hartley, which has the line, "Think of young Deanna Durbin / And how she sang on rum and bourbon." Russian cellist/conductor Mstislav Rostropovich in a mid-1980s interview cited Durbin as one of his most important musical influences, stating: "She helped me in my discovery of myself. You have no idea of the smelly old movie houses I patronized to see Deanna Durbin. I tried to create the very best in my music, to try to recreate, to approach her purity." Durbin was well known in Winnipeg, Manitoba (her place of birth), as "Winnipeg's Golden Girl" (a reference to one of the city's most famous landmarks, the statue Golden Boy atop the Manitoba Legislative Building). A short mention in a horse-racing episode of Mama's Family. 1940 It's a Date Pamela Drake A short subject, Gems of Song, was excerpted from this feature in 1949. Between December 15, 1936 and July 22, 1947, Deanna Durbin recorded 50 tunes for Decca Records. While often re-creating her movie songs for commercial release, Durbin also covered independent standards, like "Kiss Me Again", "My Hero", "Annie Laurie", "Poor Butterfly", "Love's Old Sweet Song" and "God Bless America". "Never in a Million Years/ Make Believe"
^ a b c Date of death of Edna David per Social Security Death Index, search.ancestrylibrary.com; accessed April 11, 2018. ^ a b c Harmetz, Aljean (May 1, 2013). "Deanna Durbin, Plucky Movie Star of the Depression Era, Is Dead at 91". The New York Times. Retrieved May 23, 2014. ^ Bob Dorian, American Movie Classics; accessed March 28, 2014. ^ Dagan, Carmel (April 30, 2013). "Singer-Actress Deanna Durbin Dead at 91". Variety. Retrieved May 23, 2014. ^ Freedland, Michael (May 1, 2013). "Deanna Durbin obituary". The Guardian. Retrieved May 23, 2014. ^ "NOSTALGIA: Deanna Durbin" Archived 2011-06-05 at the Wayback Machine, San Francisco Chronicle, webprime.de; accessed April 19, 2016. ^ "DAVID, EDGARDO N thru DAVID, EDUARDO". sortedbyname.com. ^ "Richard Brautigan - "Part 9 of Trout Fishing in America" - poetry archive - plagiarist.com". plagiarist.com. ^ Darling, Lynn (1983). "The Song of Slava". The Washington Post. Retrieved October 28, 2018. Wikimedia Commons has media related to Deanna Durbin. Deanna Durbin at the Internet Archive – Includes audio of her singing many of her songs. Deanna Durbin "The Turntable Song" Something in the Wind on YouTube – The opening scene of Something in the Wind – "The Turntable Song"